Building on the knowledge and ideas of a multidisciplinary think tank, enjoying the support of experts from le French Design ecosystem, and realising the boldest visions in collaboration with prestigious partner businesses: with its prospective project “2059, le French Design”, le French Design is proposing an unprecedented and disruptive creative process, perfectly capturing the spirit of the times. 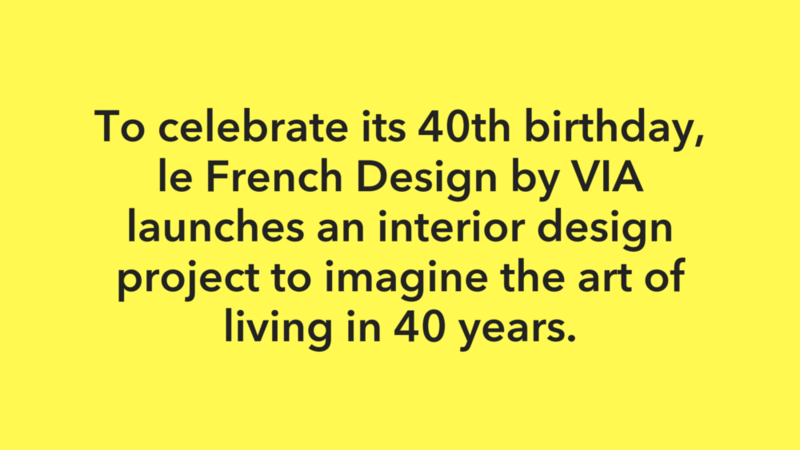 As part of the new project of the future interior design incubator « 2059, le French Design », VIA has associated with Club Med to reinvent a new lounge area, a showcase for the French Art de Vivre! Discover the finalists for this prestigious competition! Atelier PAMPA is a story-driven interior architecture studio that designs, narrates and conceptualizes living spaces. Atelier PAMPA started life as a multidisciplinary duo, combining the perspectives and expertise of an interior designer – Philippine Aprile Mandillon, and a historian of art and architecture – Alexis Markovics. Interior architect by training, ELodie LEnoir was born in Paris and her path since then has been shaped by each of her many projects. Each one has its own story. Through her architecture, EL’LE brings stories, wishes and dreams to life. All projects are different, just as every space has its own qualities and charm. With Mathilde Bretillot, things spill over, interlace, overlap, cross-fertilize: family, teaching, French, Italian and English friends, objects, travels, home-based and international projects. This is because all the different facets of her life are important to her, and because she interacts with the people around her, for whom she has created space that is open, moving, changing, friendly, playful and above all innovative.